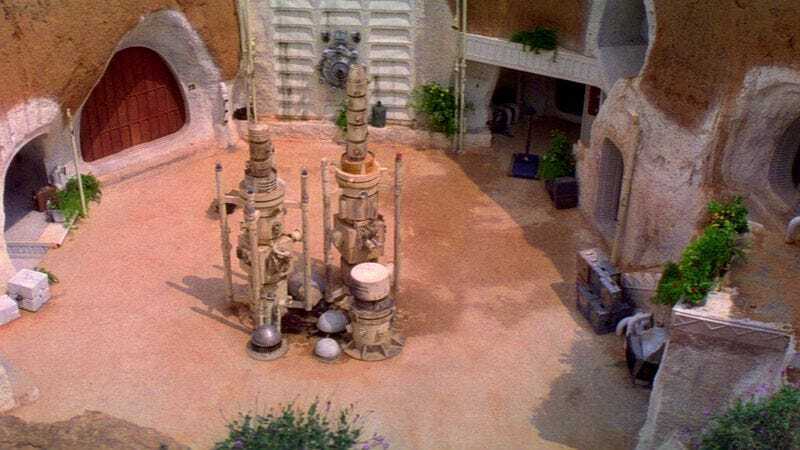 The opening of Walt Disney World’s new Star Wars Land is still pretty far off, but a new rumor suggests that Disney’s plans for real-life Star Wars fun might go a bit further than just a giant theme park. As reported by Nerdist, a site called Walt Disney World News Today says that a third-party company—as in, not Disney itself—is surveying people about the possibility of an entire Star Wars resort eventually coming to the Florida park as well. Now, it’s worth pointing out that it’s entirely possible that this isn’t true, or that it’s just a potential idea that Disney is floating, which means it could never happen. If it does, though, the plan would apparently be to make the resort a “two-night immersive resort experience” with some kind of Star Wars-based narrative hook to your stay. Guests would reportedly be “surrounded in a continuous, story-driven entertainment experience” that would unfold over the course of their time there, and they’d get to have “personal interactions with Star Wars characters,” undergo flight and lightsaber training, and partake in “personalized secret missions” throughout the resort. You can see a video of concept art below. That’s all on top of regular things that fancy resorts provide, like beds and food, and a stay would reportedly run somewhere around $900 and $1,000 per person. Again, this is all a rumor and might not happen, though, so it’s probably not worth getting too excited about.